The Arizona Land Swap involves a foreign-owned mining company, Resolution Copper Mining Co. exchanging some 5,556 acres of private lands with the Federal Government for 2,406 acres of public lands, much of it in the Tonto National Forest.The proposed exchange has been in the works since 2004, but has been rejected by Congress until December, 2009, when it was approved by the Senate Energy and Natural Resources committee. Resolution, owned 55% by Rio Tinto PLC, a British corporation, and 45% by the Australian company BHP Billiton PLC, has been continually lobbying for this land exchange. They wish to develop a major copper deposit. Since they acquired the old Magma Mine just east of Superior, AZ, they have spent $400 million in preliminary studies. The rich copper vein, which is situated at a depth of 7000 feet below sea level has inferred reserves of 1.34 billion tons of 1.51% copper and 0.04% molybdenum, worth $144 billion at today's metal prices. It has the potential to be the largest mining operation in Arizona, and one of the largest working copper mines in the US. It could meet up to 20% of the country's copper demands. Senate Bill S409 and its counterpart House Bill HR2509, The Southeast Arizona Land Exchange and Conservation Act of 2009, as originally proposed, would rescind Public Land Order 1229, which was set out in 1955 by the Eisenhower administration, and effect the aforementioned acreage transfers. PLO 1229 specifically puts an area defined as the Oak Flat Campground off limits for mining. S409 proposes that compliance with National Enviromental Protection Agency environmental analysis requirements be waived prior to the exchange. It requires only that Resolution provide assurances that it will minimize the environmental impact of its mine development and operations. Forest Service Deputy Chief Joseph Holtrop has indicated that this proposed legislation precludes the Forest Service from reviewing the land exchange, allowing it only to review the mining activity after the exchange. David Salisbury, president of Resolution Copper has stated that his company needs to own the land due to the regulatory uncertainty of working on public lands. A number of local and national groups have recorded their opposition to the land exchange. The Native tribes of the area are concerned over the potential desecration and destruction of lands that have spiritual and cultural importance to them. The San Carlos Apache tribe originally pointed out that the proposed mine would lie within sovereign lands of four local tribes. In June, 2009 the National Congress of American Indians passed a unanimous resolution opposing all legislation that would allow mining at Oak Flat. The Sierra Club in a statement to the U.S. Senate on June 17, 2009 stated that it was a bad precedent and message to Congress to give to two foreign mining companies an area protected for more than 50 years. They proposed a delay of consideration of the land swap until after the environmental reviews were completed. They also revealed water pollution concerns for Devil's Canyon, indicating that too much water would be required and that there was not enough groundwater for the suggested forty year mine life. In this regard, others have suggested a hydrological study based on concerns over pollution and depletion of Superior's water supply. Another area of concern is over respective values of the lands being proposed in the exchange. The system for appraising the private lands is suspect and considered by critics as simply an educated guess. On the other hand, the value of the public lands has been estimated at $4.32 billion, using a 3% net smelter royalty for the inferred ore reserves and present metal prices. Critics believe Resolution is using low-value lands to buy exemptions from environmental reviews in a sensitive National Forest. The Western Lands Project, a non-profit organization formed in 1997 to study, research, and as an advocacy for reform in Federal Land exchanges, feel this proposed exchange is not motivated for public good, but as a means to maximize Resolution profits more easily. They feel Congress should not bypass analysis, but consider public concerns for safety to the environment. Because of historical misuse of the land exchange process, Arizona voters have rejected on six occasions giving the Arizona State Land department authority for land exchanges. There is also a concern over potential land reclamation. Arizona has over one hundred abandoned mines, many of which are contaminated sites. The state lacks funds allocated for clean-ups. Representative Paul Grijalva D-AZ, chairman of the subcommittee that oversees public land issues sides with groups that oppose HR4880 on the basis that the land transfer will subsequently harm the environment and destroy cultural sites. Mr. Grijalva also questions the monetary benefits in that, under present law, Resolution would not required to pay any royalties to the U S Goverment for the mineral rights. Resolution, on the other hand, predicts the project could generate up to $61 billion in economic benefits to the citizens of Arizona. These concerns have been echoed by Audubon Arizona in a letter to the Energy and natural resources Committee on June 19, 2009. They recommend a complete NEPA environmental analysis with analyses of viable anternatives, as well as an economic study of relative benefits to the parties involved prior to the land exchange. The Society also seeks enforceable protection for the lower San Pedro River ecosystem, an important bird area. On March 2, 2010 a revised version of S409 was submitted to the 111th Congress by Jon Kyl (for himself and John McCain), read twice, and referred to the Committee on Energy and Natural Resources for consideration. The revised document addresses a number of fears of critics of the original bill. In effect, it directs the Secretary of Agriculture to (1) accepta conveyance of non-federal land in Gila, Yavapai, Pinal, and Coconino Counties, Arizona from Resolution Copper Mining LLC; (2) relay to Resolution Copper certain federal land located in Pinal County, Arizona; (3) convey specified land in Pinal County to the town of Superior, Arizona; and (4) appraise lands exchanged or conveyed under this Act. In addition, it instructs Resolution not to disturb the surface and to give up rights to mine and extract minerals from under Apache Leap. However, Resolution would be permitted to directional drill under Oak Flat Campground from outside the area and set up one drilling pad within the withdrawn area. Payment from Resolution is required for promotion and enhancement of outdoor recreational areas, and additional payments based upon locatable minerals produced from federal land in Pinal County. 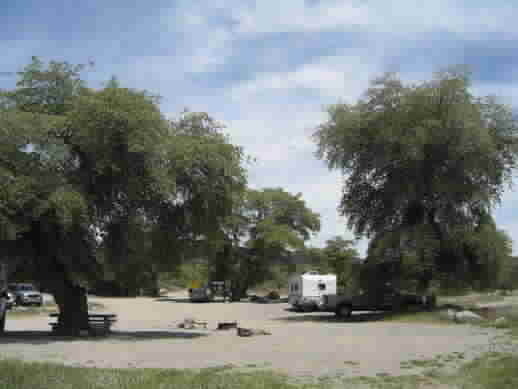 In 1955 the Eisenhower administration, under Public Land Order 1229, specifically placed the area of the Oak Flats Campground off limits for mining. It was to be reserved for recreation. It is located in the Tonto National Forest and is a popular spot for birders, climbers, campers, and hikers, and receives tens of thousands of visitors each year. It is home to a number of endangered bird and plant species. Under the revised Bill S409 Resolution would own this land and it would no longer be accessible to the public for recreational use. Apache Leap has major significance within the Southeastern Arizona native American culture. 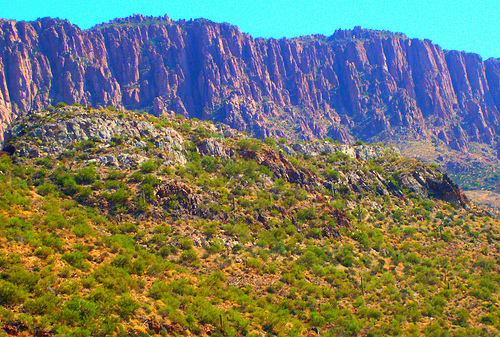 This sacred site is located along the southern boundary of the Tonto National Forest near the town of Superior. During the mid-1800's this was a major dwelling area for Apache tribes that agressively protected their land. The arrival of white settlers fostered a continuous series of raids by the Apaches resulting in the creation of the Arizona Military District in 1870. The Cavalry set up a post on Queen Creek to protect the settlers and initiate a campaign against the Apaches who controlled Big Picacho, a steep-walled impenetrable rocky area within a few miles of the military post. Initial attacks on this stronghold by the Cavalry and settlers were unsuccessful until a secret access route used by the Apaches was discovered. This was used for a surprise dawn attack resulting in the deaths of fifty native men, women, and children. The remaining twenty-five warriors, realizing they were surrounded with no hope of escape, either ran off the edge of the cliff, or surrendereed and were thrown off by the settlers onto the rocks hundreds of feet below. None survived. There is no recorded military report of the incident, but it remains an important segment of Apache tradition. Section 8 of HR 4880 directly addresses Apache Leap. It proposes to preserve the natural character and protect archeological and cultural resources of the site, However, special permits may be issued to Resolution Copper for underground drilling at the site provided there was no surface disturbance. In addition, the Government would prepare a management plan in consultation with the Indian tribes. On October 26, 2011 the House of Representatives approved HR1904 in spite of strong opposition by environmental and native groups. S409 is being reviewed by the U.S. Senate Energy and Natural Resources Panel. Strong pleas for its passing have been made to the Panel by Senators McCain and Kyl. Authority to approve the exchange has been given to the Secretary of Agriculture. Recommendations have been made that Resolution be required to complete an environmental study and be given three years to develop a mining plan. The department of Agriculture would then have three additional years to study the plan before deciding whether approval would be granted. The Obama administration opposes the swap without prior studies. What is taking place locally in Arizona could well have national implications. The controversay has been simmering for a few years, although publicity outside the State has been at a minimum. On the surface, it would appear that a large mining company simply wants to swap some land they own to the Federal Government for some Forestry acreage in order to potentially develop a large subsurface copper deposit. Similar situations in other parts of the nation have been negotiated successfully, and productive mines have evolved to the benefit of the parties involved. So, what makes this one different? Well, potentially a number of things. Other mining operations have been carried out on public lands or a combination of public and private, without an acreage exchange. Here, Resoulution Copper have stated they cannot proceed without direct ownership of the lands involved due to the regulatory uncertainty of working on public lands. This approach should be a red flag to Congress. As has suggested, if the mining project is shelved, the exchanged land could become a sea of condominiums. The inferred tonnage and grades for this deposit are indicative of a potential world-class copper mine worthy of development. The vein is, however, 7000 feet below sea level and, as Resolution President David Salisbury has indicated, the technology is not in place for a production decision within the next decade. If this is the case, what is the hurry for a decsion on the land swap before a complete NEPA environmental analysis is completed with viable alternatives to the proposed action, to everyones satisfaction. If the U. S. public is to hand over these valuable lands to foreign interests, they at least deserve a full disclosure of the environmental, social, and cultural impacts that will result. Pulling National Forestry lands that had previously been set aside from mining back into the mix sets a bad precedent, especially if the NEPA guidelines are ignored. These lands have been reserved for the enjoyment of the public and for the protection of environmentally sensitive locales. To reduce these acreages as our population increases is counterproductive. The argument has been made by Senators Kirkpatrick and McCain, and echoed by David Salisbury that successful passage of this legislation will produce local jobs. Salisbury talks of a few hundred new jobs over the next four years, eventually rising to 2,600. This does not seem like a strong enough justification to pass the Bill. The fact is that the Concerned Citizens and Retired Miners Coalition in Superior, who should benefit most from increased employment opportunities, oppose passage of the legislation. I suggest that even these figures may be inflated. The parent company, Rio Tinto does not have an enviable record as an employer. Their eleven iron mines in the Pilbara region of Australia have, to quite an extent, switched to remote-driven drilling machines as well as robots loading cargo and placing explosives, all controlled by satellite links from centralized locations, thus eliminating thousands of man-hours of employment each year. Their bauxite mine in California has been converting to a largely remote-controlled operation, decreasing the numbers of employees and forcing contract changes through a labor lockout. Rio Tinto has been accused of labor problems and human rights violations in Papua New Guinea and the island of Bougainville, in addition to a bad labor record in South Africa and the Bingham Mine near Salt Lake City. In light of these trends the job-increase predictions for Arizona become suspect. The multitude of objections to these Bills over the past year has forced their proponents to backtrack and produce revised submissions, which appear at present to have a reasonable chance of being approved by Congress. I suggest there is still a lot of room for improvement to produce a deal that will satisfy and benefit all parties. As of the end of this year, the forces opposing the land swap and those wishing to postpone mine development approval, appear to have the upper hand. Resolution Mining Co. has announced it is putting the project on hold and laying off 400 of its 500 workers at the site, in the coming months. They are unwilling to pump more money into the project until the political wrangling over the land swap has been resolved. To date a total of $950 million has been spent The project requires $5 billion in additional investment,, which the Company is unwilling to commit unless political clearance is achieved. Critics have accused the Company of using the layoffs as political leverage to hasten approval. Rep. Paul Gosar, R-Ariz. has taken an active role in promoting the necessary approval legislation. Gosar, and Rep. U.S. Senators John McCain and Jon Kyl support the mining company's endeavors, whereas Democratic Reps. Ed. Pastor and Raul Grijalva are more focused on environmental, tribal, and economic concerns being resolved before any further approval actions are undertaken.